I'm well aware that this recounting of Ian's birth is three times longer than it needs to be, especially considering the fact that it doesn't have any rush-to-the-hospital moments to keep up the pace. I left in the mundanest of details for my own benefit because I know I'll want to go back in a few months or years and relive it. So no apologies, and I won't be at all offended if you do a lot of skimming or just skip over it entirely. As I sit down to chronicle the details of Ian's birth, he is swaddled to my chest in the Solly baby wrap (one of the few things I actually purchased this time around). I could lay him down, but I don't want to. I want him right here, snuggled against me, helping me remember the little moments that made this birth so special. But first, I need to revisit the internal debate that consumed me during almost the entire length of this pregnancy: that of whether or not I wanted to get an epidural? The question poked its way into my brain early on in the pregnancy, and I have to say, it surprised me. With my other children, I had never even considered an epidural (except for a brief few minutes during Clark's birth). With each one, I knew I wanted to have as natural of a delivery as possible (but in a hospital). I spent the months leading up to each birth preparing to handle the discomfort, and when the time came, I accepted it (granted, among moans and pleas and cries) as a necessary part of the birth process. And those births were beautiful, miraculous, sacred, and transformative. It's not that they were so perfect I wouldn't change anything about them, but as far as the big, important things, I wouldn't. The intense, exhausting pain contrasted in high relief with the sweet rush of deliverance, and after each one, I seemed to catch a glimpse of eternity and understand the purpose of life on a slightly deeper level. I'm telling all of this so you'll better understand my confusion when my mind and heart suddenly latched onto an epidural and wouldn't let go. I couldn't figure it out. I didn't know why I would want to do things any differently when my experiences had been so overwhelmingly positive in the past. And so I set about to convince myself otherwise: I read two amazing childbirth books, both of which advocated natural childbirth and were filled with positive, inspiring birth stories. Those stories called to remembrance some of the precious details from the births of my own four children, but at the end of each one, I said to myself, Oh, that is so wonderful . . . but I still want an epidural. I also read through my accounts of the births of my children, which almost always made me shed a few grateful tears as I remembered how sweet and special each birth was. I prayed a lot but didn't feel especially compelled one way or the other. And I sought advice, or at least a listening ear, from family and friends. Most people were firmly in one camp or the other, depending on their own experiences. Those who had experienced both an epidural and natural labor generally stayed on the side of natural delivery, which made me wary to get an epidural. Mike wasn't overly opinionated on the matter but finally said he thought I shouldn't get an epidural--not because he is a huge fan of natural labor but because he thought I'd be happier with the end result. But the majority of the advice ended with, "Just wait until you're in labor. You'll know what to do then." But that's not really my style. If I was going to get an epidural, I wanted to go into the hospital with that as the plan so that I could really take full advantage of it and enjoy it. And if I was going to go for another unmedicated birth, I needed to get in that mindset well before the onset of labor. I also tried my hand at a pros and cons list, just to see how that all turned out. I had definite reasons for wanting an epidural: I wanted to see what the other side was like, I thought Mike might enjoy the birth more, I didn't want to go through that blinding pain again. There was also a part of me that was frustrated that my "natural" births weren't actually that natural because I was always hooked up to an IV getting penicillin for Group B strep and pitocin to help keep the contractions going, so it wasn't like I was laboring in a tub or moving around with ease like the women in so many of the birth stories I read. I kind of felt like if I was going to be tethered to the bed anyway, I might as well be comfortable. There were cons as well: the epidural might not work (or worse, I might not react well to it and have some negative side effects), I might feel out of touch with my body, I might not be able to help the baby turn if he followed his brothers' examples and went posterior, I might miss out on that incredible rush that comes after delivery, or my recovery might be slower and more difficult. But through it all, I just could not rid myself of the thought, I want an epidural. I WANT an epidural. And I finally decided to pay attention to that thought and give it some credence. It had been a matter of prayer from the beginning, and I realized this might be Heavenly Father's way of communicating the answer to me. Once again, I prayed, but this time I said, "I've decided to get an epidural. If this is right, please help me to feel at peace. And if it's wrong, please stop me." And there it was. Peace. I didn't know why this was the answer (and I fervently hoped it wasn't because there would be complications that would require an emergency cesarean or something of that nature), but I finally felt like I could move forward again. 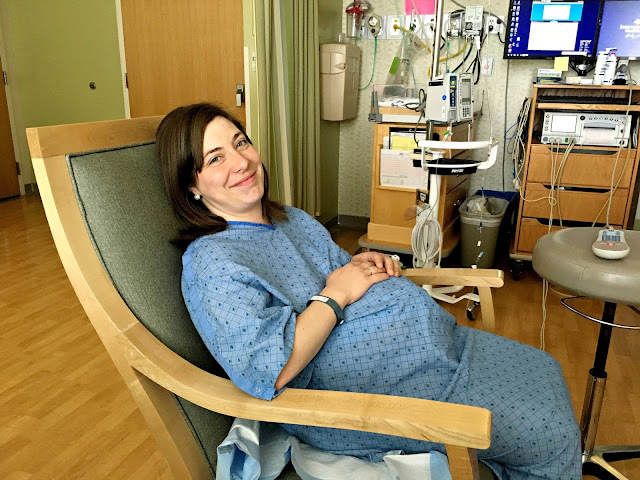 I talked to my midwife, Gretchen, about my decision, and she was completely on board with it (but I have no doubt she would have been equally supportive of the other choice as well). A few weeks before my due date, we also discussed a possible induction. That too deserves a little explanation (or justification? call it what you will). With all of my other babies, I've been fairly obsessed with going into labor on my own and done everything in my power to make it happen, but then when the time came, each one still needed a little nudge to get it going. With this one, I felt pretty resigned to just being induced. 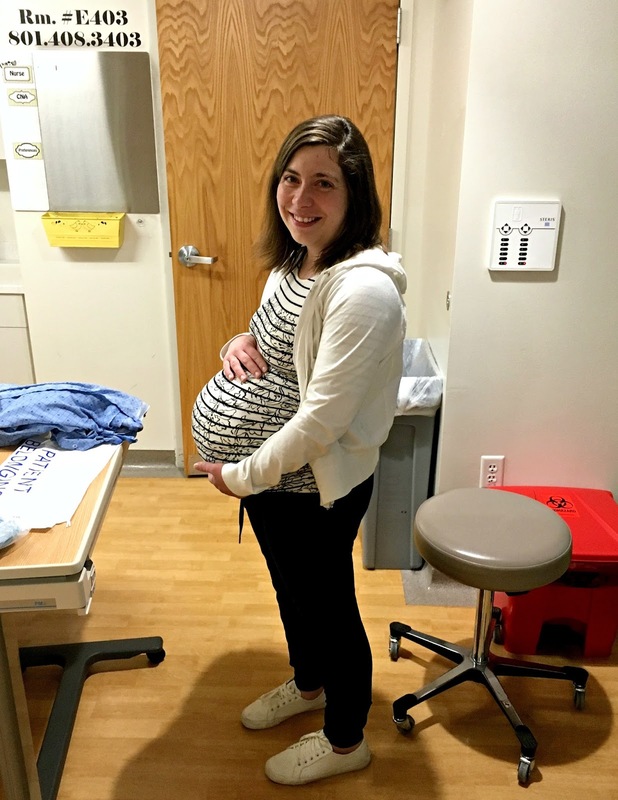 It still felt a little like cheating to me, but I candidly admitted that I no longer had the mental stamina I once had to endure the torture of going past my due date. Plus, an induction came with its own set of perks: we could pick the day, we could arrange all childcare ahead of time, and I could be sure about getting a dose of penicillin for the Group B strep before delivering the baby. So Gretchen and I threw around possible dates and settled on Friday, April 21st, three days before my actual due date (but if I'm continuing to justify things, my 20-week ultrasound actually dated the pregnancy for April 21st, so I wasn't rushing anything too much). Once that was in place, I basically waited out the rest of the pregnancy. It wasn't that I didn't still occasionally dream about my water breaking and the contractions beginning with a vengeance because I would have loved to have the discomfort cut a little short (in the words of my midwife, this baby's head was resting right on my pubic bone for the last three weeks of pregnancy, and, believe me, I didn't need her to tell me that to be convinced). But the truth was, I really wasn't getting a lot of contractions. They would come sporadically, at random times, usually just one, and then, maybe four hours later, another one. There didn't really seem to be any activity (or inactivity) that prompted them, and they never came at regular enough intervals that I felt compelled to pull out the stop watch and time them. This was all fine until my appointment on Thursday, the day before I was supposed to be induced. Then Gretchen checked me and said I was dilated to 1 cm (which was the same as the week before) and about 60% effaced, with the baby's head very low but not engaged with the cervix, which was tilted up and back (in fact, it was so far up, Gretchen had a very difficult time reaching it). None of this surprised me (I was well aware that the few contractions I was having were totally ineffective), but it discouraged me nonetheless. I wondered if my body wasn't ready for an induction, if maybe I was overly excited and starting things too soon. Gretchen assured me that everything looked favorable for an induction, but I left the office feeling depressed and a little anxious. Mike distracted me from my pessimistic thoughts by taking me out to dinner and then insisting I go to my book club meeting while he cleaned the house (he's extraordinary, I know!). When I got home around 9:30pm, my outlook was much brighter, and I happily packed a bag for the hospital before setting an early alarm and going to sleep. The next morning, I called the hospital at 6:00am. Thursday night had been rainy and stormy, and I figured the change in weather had probably triggered the onset of labor for a lot of moms (just not me . . . ). So I fully expected to call and hear them say, "Call back in a few hours and we'll see if we can get you in." Instead, they said, "Can you be here at 7:15?" In a rush, we were waking up kids and getting everyone dressed and ready for school and dropping them off at Mike's sister's house. Before we left, I asked Mike to give me a priesthood blessing. I was feeling jittery and nervous, and even as he was speaking, my mind was racing and distracted. But it did catch hold of two promises: that both the induction and the epidural would go well, and those both brought me peace. We arrived at the hospital on time and checked in without incident. 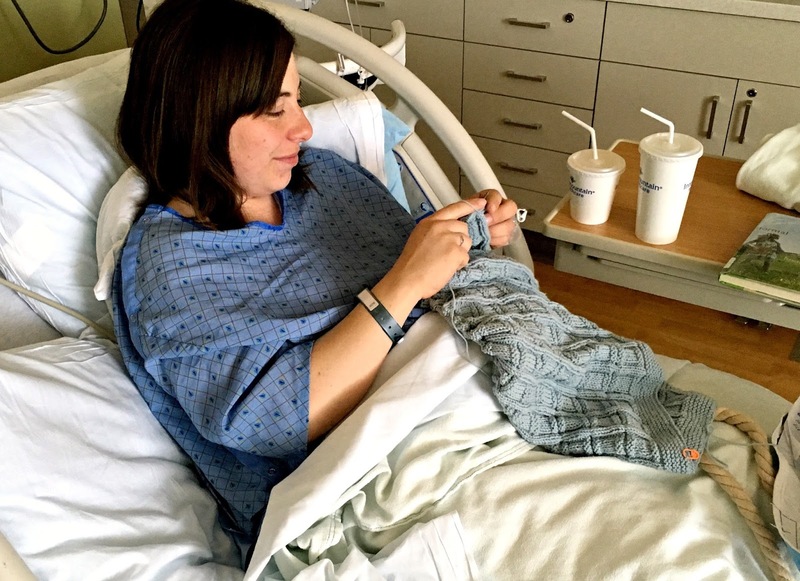 As I changed into my hospital gown, I couldn't help but think that except for being extremely uncomfortable, I didn't really feel like someone a few hours away from having a baby. In fact, it felt more like I was just there for a check-up. I don't think I'd had a single contraction so far that morning. The first order of business was the IV. In the past, the IV has never needed more than a passing mention, but this time, it turned out to be quite the ordeal. First Fran looked at the right side (because I'm left-handed). She pushed and prodded various veins for a few minutes before deciding to look at the left hand and arm instead. Again, she took several minutes examining her options before deciding the right side was better. After a couple more minutes, she geared up for entry: "Okay, here we go." She actually seemed pretty nervous, which made me a little nervous. Unfortunately, the first poke didn't take, even though she stayed in there for a bit and tried to make it work. So she returned to the left side where she again went painstakingly through her various vein choices before talking herself into one, breathing deeply, and pushing in the needle. And . . . nope. The IV was once again a no go in spite of Fran's efforts to move the needle around and get it in the right place. It was time to call in the reinforcements. Fran got the charge nurse, Susan, to come in, and, just like that, the IV was in and fluids were flowing through it like it was no big deal. I'm not kidding when I say that the IV placement was probably the most painful part of the day--which either shows that the rest of the day was really good or that the IV was just really bad. I must admit that at this point, I had serious doubts about Fran and considered asking for a different nurse. I knew she wasn't new to nursing, but her IV skills definitely seemed a little rusty, and I could tell by something Susan said to her that she was relatively new to the hospital. But I liked her personality, and so I decided to wait and see. I'm so glad I did because I ended up loving her, and she seemed completely competent for the rest of the day. After the IV was in, Fran checked me so that we'd have a baseline. I was 2 cm dilated and still about 60% effaced, but she definitely seemed to have an easier time reaching my cervix than Gretchen had the day before, so I was encouraged. She got the penicillin for the Group B strep going and then started the pitocin about twenty minutes after that (at about 8:30am). At this point, I was really just hanging out, listening to the baby's heartbeat on the monitor, feeling the occasional weak contraction, and chatting with Mike. I considered reading to pass the time, but the penicillin really burned going in, and I was having a hard time thinking about other things. When I mentioned this to Fran, she wrapped my arm in a warm towel and that helped immensely. Soon after we arrived, Fran asked me if I was planning to get an epidural. I said yes and mentioned that it would be my first one. She asked what my pain goals were--did I want to avoid all pain completely or wait until I was feeling some contractions or get it when the pain had reached the unendurable stage? This was something I'd already given a lot of thought to. I had already decided, well in advance, that I wanted an epidural. Therefore, I was not going to "wait and see if the pain got too bad." I'd given birth four times and already knew the pain would get too bad. One of my main reasons for getting an epidural was to avoid the pain and enjoy the birth as much as possible. However, at the same time, I wanted to have some sense of where the labor was at before getting the epidural. I didn't want my mobility to be restricted if I was just having mild contractions for several hours. Basically I didn't want to wait too long, but I wanted to wait long enough. I hoped I would know when that point would be. Meanwhile, the time was passing slowly, marked only by regular trips to the bathroom and incremental increases in pitocin: 8:30 am--4 units; 8:53 am--8 units; 9:25am--12 units (Fran thought this would be the magic number and that we'd see the contractions intensify and come more frequently, but they didn't); 10:00am--16 units; 10:30 am--20 units. If I'm remembering correctly, with my other labors I think I only needed the lowest dosage of pitocin to kick labor into high gear. So every time Fran came in and bumped the pitocin up to the next level, I felt a little down. I was having regular contractions, and occasionally I would get one that was a little stronger and think, "Oooh, that one was more noticeable," but I can always tell when the contractions start changing over to the real thing because I start to dread them instead of feel excited about them, and that definitely hadn't happened yet. At this point, I was still very happy when the next one would show up and feel very disappointed if it was more than five minutes after the last one. As a change of pace, I sat in the rocking chair for awhile, hoping the rocking motion would help the contractions and also just because I was sick of sitting in bed. I was also getting quite hungry. I wasn't allowed to have actual food, but jello was permissible because it was clear, so I ate two of those and then felt better. We also had plenty of time to get to know Fran and check up on our kids and discuss potential names for the baby. Fran was a pro at reading the monitor and pointed out things I'd never been told before. For example, if there's a slight dip in the baby's heart rate at the peak of a contraction, that means the baby is moving down. Before she broke the bag of water, Gretchen checked me again--still 2 cm and 60% effaced. More evidence that the pitocin was not producing the desired results. Gretchen still seemed to be having a difficult time reaching my cervix and an even harder time doing the amniotomy. 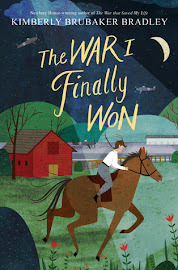 In fact, after she was finished, I wasn't feeling anything--not a gush or a trickle or a leak--and I wondered if she actually had been successful in getting to it. Gretchen was sure she'd nicked it and said I should start feeling something soon. But I didn't. The only thing that seemed to change was that I began to see a little bit of bloody discharge when I went to the bathroom. But other than that, it was back to sitting around and waiting. I pulled out my knitting for a bit, which should have made me happy, but the IV made it cumbersome, and really, I wasn't at the hospital to knit. Over the next two hours, the contractions gradually gathered some strength and regularity. Fran asked me about my pain level, and I think I told her it was maybe (hopefully?) up to a three or four.They were at least requiring a little bit of concentration to get through. Gretchen came back in at 1:45pm, checked me (3 cm, 70% effaced) and could tell immediately that she hadn't broken my water. She again inserted the little hook, and this time, there was a swift gush, leaving no doubt that she'd been successful. (In Mike's notes, he wrote: 11:45 - Gretchen breaks water? and then, 1:45 - Gretchen breaks water!) I have my suspicions that if she'd really broken it the first time, the baby would have been born two hours earlier. Almost immediately, I realized that it might be time to get the epidural. I made careful note of the way I was feeling: still relaxed and in control, but each contraction seemed to be slightly stronger and more painful than the last. I was beginning to feel more dread and less excitement with the approach of each one. I discussed it with Fran. She sat down and went through the entire epidural procedure, step by step, making note of what I might feel at each point and about how long it would take. After the run down, I knew I was ready. I told her to call the anesthesiologist. I got into position, sitting sideways on the bed with my legs stretched out and Mike sitting in a chair in front of me. When the anesthesiologist came in, he took up his position on the other side. I admitted that even though it was my fifth baby, it was my first epidural and I was a little nervous. He was kind and unhurried and talked me through each step. He had me relax my head and neck so that they were curled against my chest. After sterilizing everything, he said, "Okay, this is usually the most uncomfortable part for people." And I waited for it . . . and waited . . . but I didn't feel a thing. Not a single sensation or discomfort. I didn't say anything but just kept breathing slowly and sitting perfectly still. Then he said, "Now people usually feel a pop." Again, I waited. I thought I maybe felt something, but it was so slight, I might have just imagined it. Finally, after a few more minutes, he said, "Okay, it's all done!" I lifted my head and came out of my relaxed position and said, "I didn't feel a thing." At first, I worried that maybe it wouldn't work because I hadn't felt anything, but then I realized that if it hadn't worked, I would for sure be feeling something. I settled back into the bed while Fran placed the catheter. My feet began to feel a little bit tingly, and the numbness slowly worked its way up my legs. I put my hand on my thigh, and it no longer felt like it was attached to my body. I could still wiggle my toes and move my feet though. But the strangest part, and the one that sent me into a little bit of a panic, was that before the epidural, each contraction was slightly more intense than the last, but after the epidural, each contraction was slightly less painful until I was merely feeling slight pressure each time but absolutely no pain. My mind began playing tricks on me: Oh no, the contractions aren't effective anymore. My labor is stopping. This baby must still be hours away from coming. When I expressed these thoughts to Fran, she laughed and put a hand on my stomach, "Oh Amy, these are strong contractions now. This is what labor is like with an epidural." And so I sat there and marveled for the next hour. It was an entirely new experience for me and one that I was relishing. I watched the contractions come and go on the monitor, but I was relaxed and coherent and just very happy. Fran was watching the monitor as well, and she began to notice something that I did not: each contraction had two little peaks at the top of it, instead of just one. Fran said this could be an indication that the baby was posterior, and of course I wasn't surprised; it was what I suspected and feared all along; it was one of the main reasons why I hadn't wanted an epidural. But Fran assured me that they could help me get in a position that would help the baby rotate. The epidural hadn't had an effect on my appetite however. It was approaching 4:00pm now, and I'd only had a bowl of cereal before I left my house that morning and two cups of jello and some water and juice. Fran said she could give me some Ensure (there is a clear version), and even though a club sandwich sounded a lot better, I took the option I had. Gretchen came back in at 3:50 and checked me. I was dilated to 5 cm and very thin. She said the baby's head was right there and that as soon as I was dilated, it wasn't going to take much for him to come out. Gretchen agreed that we should try to turn me onto my side in case the baby was posterior. Mike got on one side and Fran got on the other and they maneuvered me into position. I admit I felt a little helpless at that point, but Fran acted like it was just part of the routine, and I think Mike appreciated that he finally had something to do besides look at his phone (with all the other deliveries he was required to breathe with me or let me squeeze his hand off or push on my knees or back). Gretchen told me to turn my chest so that it was on the bed (not an easy thing when your stomach is the size of a beach ball), and then they got an hourglass shaped ball called a peanut ball to put between my legs. Within just a few minutes of turning onto my side, my teeth began to chatter and I started to shiver uncontrollably. Mike noticed and said, "Uh-oh, she's shaking." He's seen four other cases of the shivers, and they always mean only one thing, which Fran immediately identified: "She's in transition. I'm so glad you noticed." Mike was well aware of how quickly things progress for me when they get to that point, and he fired off a text to my mom at 4:19pm, which said, "I predict 4:30." Meanwhile, I was sitting there with my teeth rattling together and the goofiest smile lighting up my face. Like a train bouncing along a track, my body was racing to the finish line. I knew that this had to be what was happening, but I could not believe it. Instead of begging for help with each hurdling contraction, I was just like everyone else in the room--completely caught up in the excitement of the moment: The baby is coming! The baby is coming! Fran asked, "Are you cold?" "Not at all!" I smiled. "I just can't stop shaking." I smiled some more. Fran brought me a blanket anyway. I looked over at Mike and beamed. "I'm in transition!" Fran said, "Amy, if you feel any sort of pressure between your legs, you must tell us right away." "Okay, will do!" I enthusiastically agreed. At 4:24pm, Gretchen checked me again. 8 cm. The room became a frenzy of activity. They turned me back over to my back. Gretchen and Fran donned gowns, and another nurse arrived. Gretchen sat at the end of the bed, and someone moved a mirror into place so that I could see. I had never wanted a mirror with any of the other births. I found it distracting and discouraging and almost like it added a certain level of intensity that I couldn't handle. But this time I wanted to see it all. All of a sudden, the contractions felt different. I could feel something right between my legs, and I knew I was ready to push. I told Gretchen, "I'm feeling pressure!" And then, inexplicably, I started to laugh. To some in the room, it might have seemed like the contractions had triggered some sort of crazy button and I was going a little nuts. But I felt like I was in complete control. I laughed out of disbelief--here I was, about to push out my baby, and I felt like I was on top of the world. I laughed because in that moment I felt pure, unadulterated joy. At 4:30pm, I gave the first push. Gretchen said, "Can you see his head?" I looked, and I saw a tiny dark circle growing bigger before my very eyes. I was still laughing, and then, all of a sudden, I was crying, too. I locked eyes with Mike. "This is amazing! I can't believe it!" I gave another push, and it was as if I was watching a flower open up in fast motion. His head was out, and then one more push, and the rest of him followed at 4:31pm. They immediately put him on my stomach, warm and wet and wriggly. Mike did indeed cut the cord, and then little Ian was on my chest, and I was smothering his head with kisses and exclaiming over his sheer perfection, all while continuing to drip joyful tears. He was the purplest baby I'd ever seen, but one of the nurses coaxed a couple of good cries out of him, and then he started to pink right up. He took to nursing right away, latching on and swallowing like he'd done it all his life (which I guess he had--all fifteen minutes of it!). Fran couldn't get over the speed of his delivery. "You are the shortest pusher I've ever seen!" she exclaimed. She said when I began pushing, she recorded it in my chart: "4:30 - pushing engaged" and then, when she turned around, he was already out, and she rushed to record his time of birth. She was in such a hurry that she accidentally pushed, "4:31 - breech delivery." I guess the nurses out at the nurse's station were quite surprised: "A breech delivery in under a minute?" That would have been something. Gretchen stitched up a slight tear, and the epidural gradually wore off without me giving much thought to it (I had a sweet baby to distract me). In fact, as I was nursing Ian, I bent my knee to bring up one of my legs, and Fran said, "Oh my goodness, you can move your leg like that?" By the time I was ready to move to my room, I could move myself out of the bed and into the wheelchair. 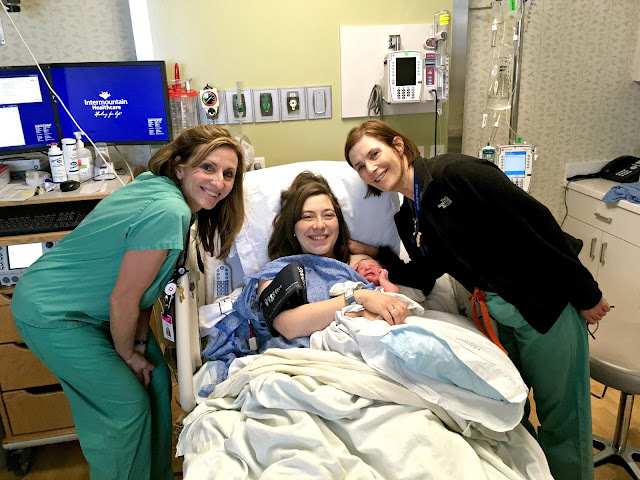 In the weeks that have followed, as I've shared how the birth went with friends and family, the most common (and probably most obvious) question has been: "So, do you wish you'd had epidurals with all your kids?" I can see why everyone asks that. From start to finish, it was about as perfect an epidural as you could ask for. But the short answer is no. No, I don't wish I'd had epidurals each time, even if they'd all been as perfect as this one, but nor do I wish I'd gone without one this time. I'll try to explain. With my four natural deliveries, I experienced the full physical effects of giving birth. They were raw and primal and also, somewhat ironically, glorious. It was absolutely amazing to see and feel and understand the pristine power of the human body. After each birth, I felt invigorated and strong. I felt like I could take on the world. Not only that, but going through so much for one child transformed the way I felt about God and motherhood and life. But, it was also very, very painful. And, it turns out, pain can be distracting and block out other emotions and feelings. With Ian's birth, it was as if I gave myself a new vantage point, one that showed me a different side of things. 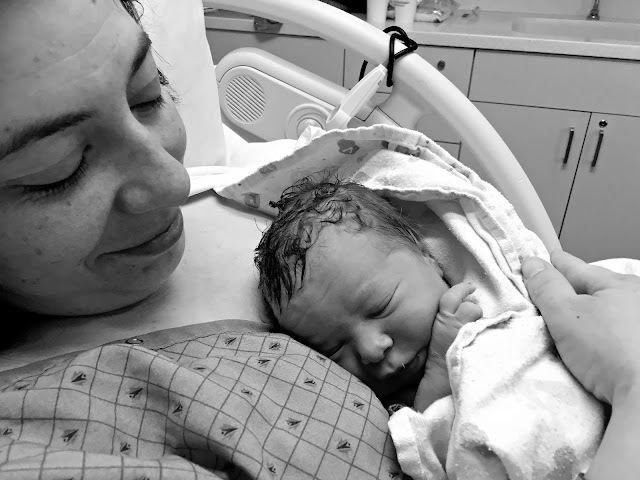 Having been through labor and delivery four other times, I was well-versed in the stages of birth, and my body still did things the same way it always has, right down to the shaking during transition and the posterior position of the baby, but this time I observed it more than I felt it. But even though I wasn't deep in the throes of it, I didn't feel like an impassive bystander because I knew what I was missing. And because I knew and remembered what each stage felt like, I watched it all unfold with this incredible sense of wonder. 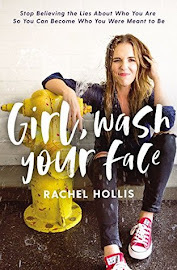 I thought my body was amazing when I felt each contraction wash over me like a wave, and I thought it was just as amazing when I watched it happen instead. 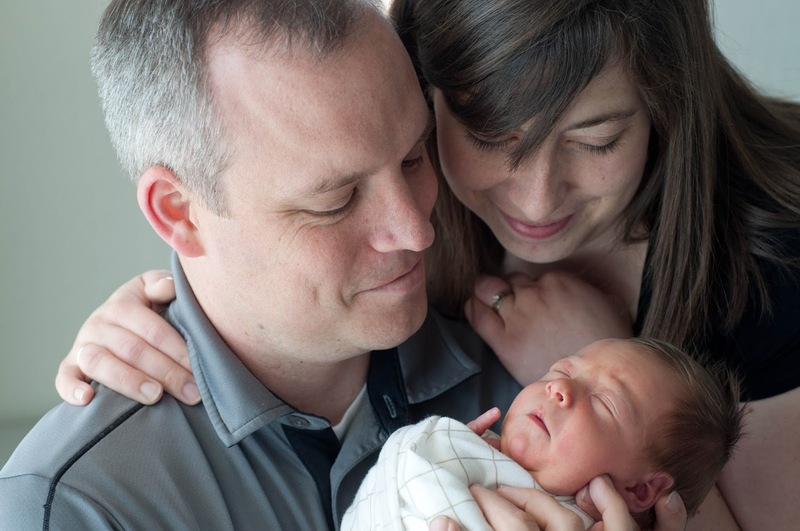 I had high hopes that getting an epidural would help Mike enjoy the birth more as well, and it did, but to a far lesser extent than it did me. I guess birth just isn't his thing. That's okay. Mostly, I just felt overwhelming gratitude: for my body and my baby and for modern medicine that let me just enjoy it. The next day, as the 24-hour mark of Ian's life approached, I said to Mike, "I just wish I could do the last half hour all over again." That's how much I loved it. This birth was truly the cherry on top. 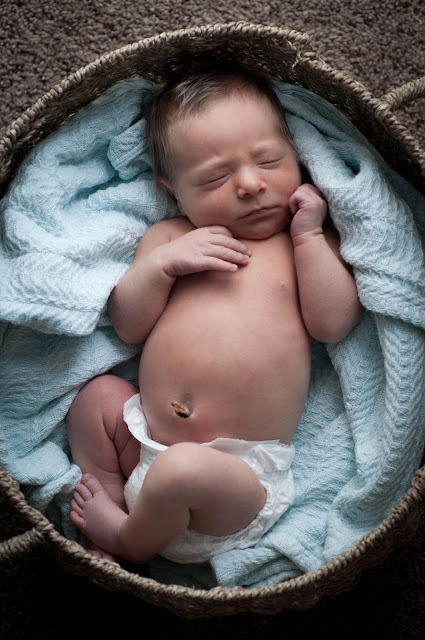 I love birth stories and this one was no exception. 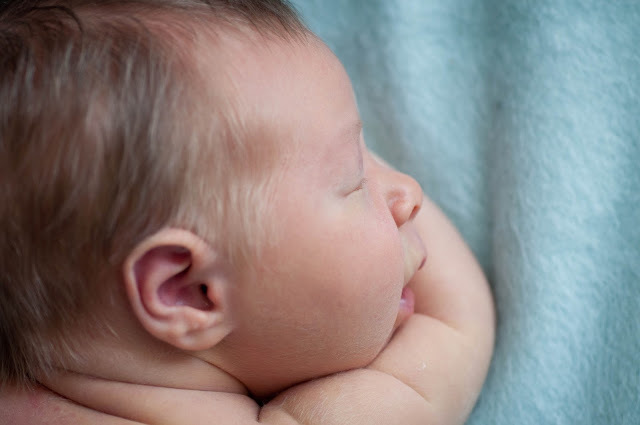 My kids tend to have shoulder dystocia, so epidural is really important for that situation. With my 6th, I got it 10 mins before I started pushing and wished that either 1. I had been at the hospital longer (why did I wait so long to go?!) Or 2. That I wouldn't have needed one to get his shoulders out. Beautiful story, Amy! I loved every detail! Congratulations on your precious boy! Thanks for sharing your story, Amy. I'm glad it went so well for you. He is so beautiful! What a lovely birth story! And what a handsome little boy he is. Congratulations, I'm glad the epidural was such a good experience! Super interesting perspective---I went natural with my first (and intend to for my others), but it was good to get the view from someone who's been on both sides. Thanks for sharing! Such a beautiful story! 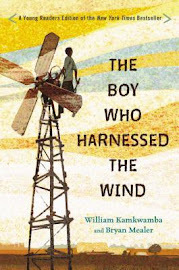 Loved this story! I ate it up, and didn't find any details boring, I don't know what you were talking about in your disclaimer. :) I'm due October 1. I'm glad it was such a wonderful experience! I know what you mean about not wanting to change previous birth experiences. With my third I had an ultimate experience like this, an "I could do that again" experience. But I could see that my previous birth experiences had paved the way. Here's hoping October goes as well for me as my last one did and as this did for you! I think spiritual preparation for childbirth is key. So glad that things went well! 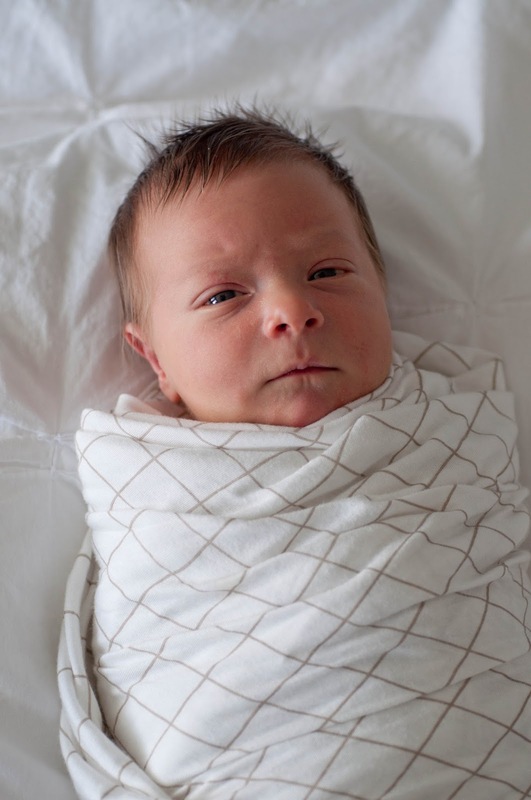 Your little guy is sure a cutie, it was fun to read the details of his arrival. I'm so glad that you had such an great experience with little Ian! Yay, Amy! Congratulations! He's absolutely gorgeous, and I love his name. So happy for your whole family. Wow! It was interesting to read about your epidural :) Congrats on adorable Ian and I'm glad it was a great birth. You're amazing, Amy! A beautiful story, and a beautiful baby boy. I'm glad it went so well for you. Sounds like you chose the best path each time. What a fantastic story, and I totally understand what you were saying. Beautiful story, and a beautiful baby. It's funny but so much of my hesitation to have an epidural was to avoid the needle; I remember arguing a nurse out of putting an IV in my hand "just in case." So if I had known you automatically got one anyway, my advice might not have been "wait and see" but "might as well go for it!" I'm so glad you got a wonderful, spiritual experience.